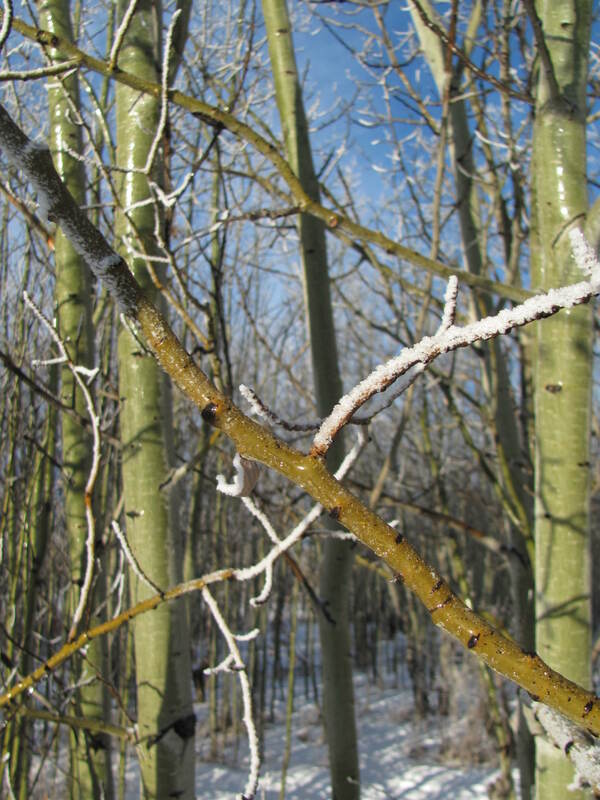 This entry was posted in Botany, Flower, Hiking, Nature, Outdoors, Photography, Plant, Tree, Weed and tagged Alberta, Calgary, Family Day, Family Day Weekend, frost, Ice, Nose Hill, spring, Sun, Sunshine, Whispering Woods, winter. Bookmark the permalink. Lovely to see your blue skies! Have a great weekend with more sunshine Sheryl! Sure glad for cleats – so useful! Very beautiful! You are so lucky to live close to the mountains. We finally got some snow, sunny and cold today, I really enjoy your photos. You really haven’t had much snow there at all this year…the weather is definitely very strange. It’s been unusually mild here, too. It’s nice to get a bit of fresh snow, always looks so beautiful! Beautiful shots! You make the snow, frost and ice look so lovely. Thanks! It was such a beautiful morning – it felt good to be out in the sunshine! 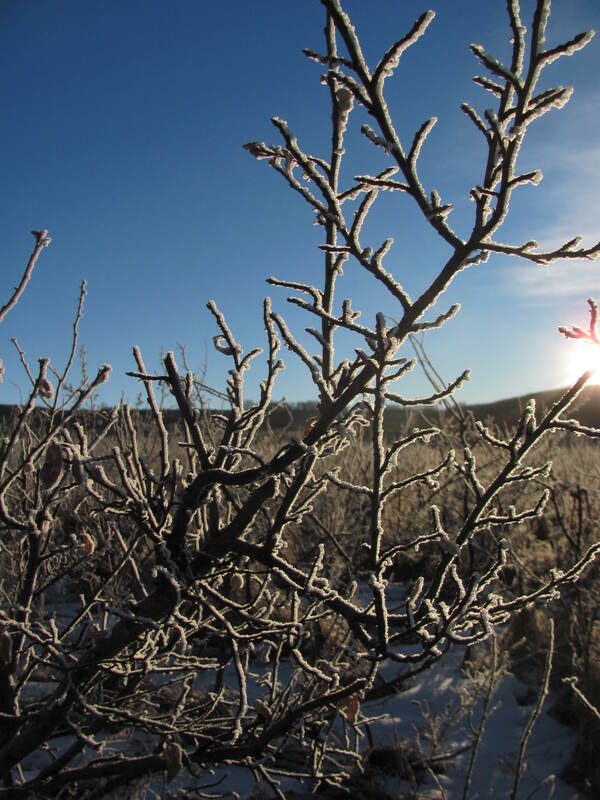 Love the frost on the thistle heads. 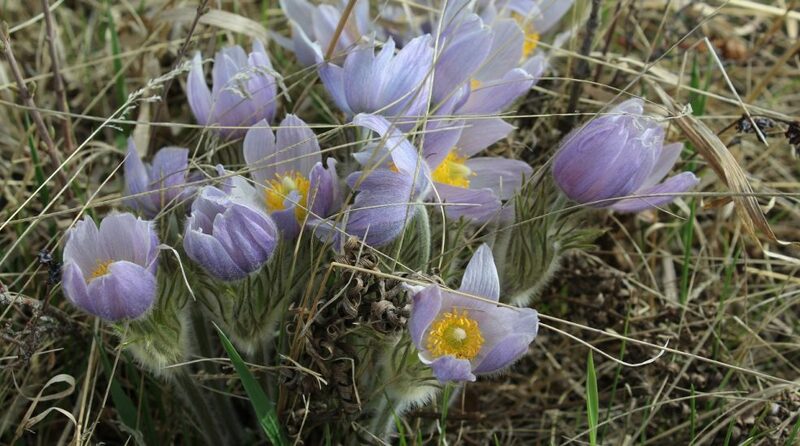 Spring is on its way….very slowly. The thistles do look magnificent. Sending you more warm thoughts for the weekend. Thistles have the most amazing structure, especially when they’re dried like that. They are fascinating. I really enjoyed your walk Sheryl, the blue skies and scenery are beautiful, I hope its not too long before Spring comes for you. It’s definitely starting to feel like winter is turning around…. So delightful! 🙂 Have a great weekend! It is really fascinating to see the physical effects of the orientation of the sun – it was really obvious that day. Hope you have an amazing long weekend with the family! Enjoy! 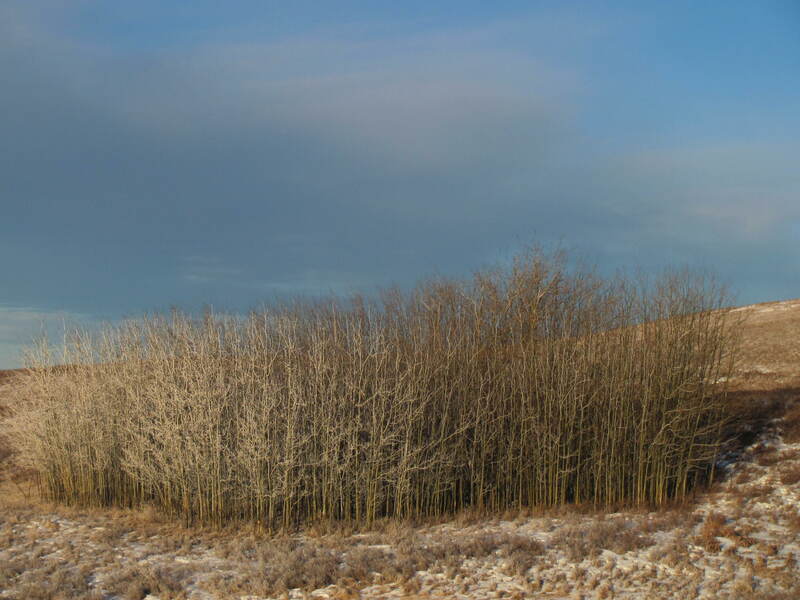 I love when we have frost on everything that is not covered by snow…..
Love that second photo – very subtle! Thanks! I was so pleased to be able to catch that. Sheryl, beautiful pictures! So glad you liked our “Creative Garden Patch” . 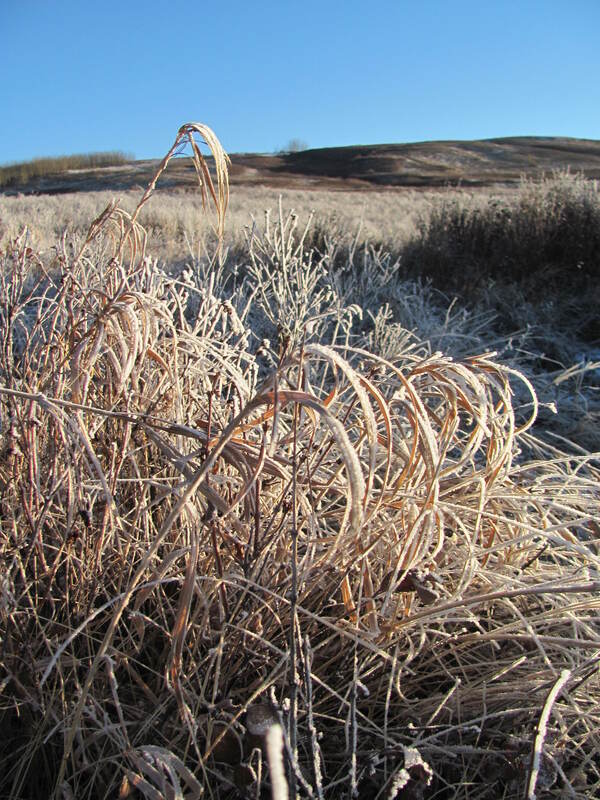 Love the thistles and frosted wheat. Thanks so much! I’m really happy to have found your blog! I’ll come back and look at these photos when out temps reach in the 90’s this summer to cool off. Contrast, everything is about contrast. No getting around it.